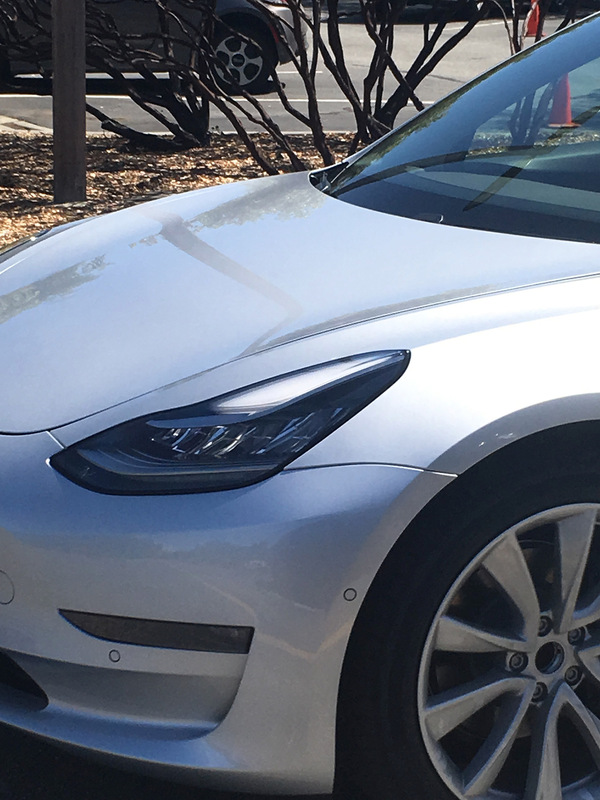 Tesla Model 3 fever has hit with massive impact throughout the Tesla owners, reservation holders and fans as the final unveil event approaches near in July. 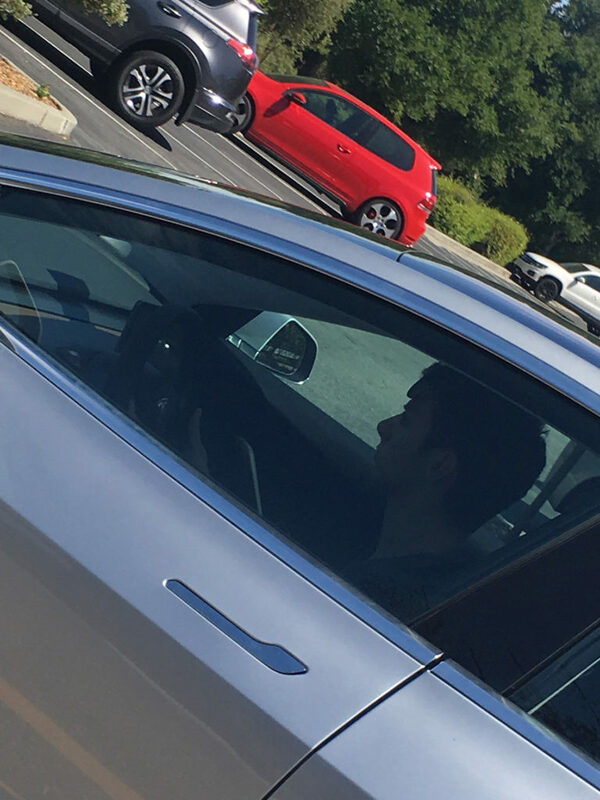 Looks like paparazzi are always on the lookout for a glance at probably one of the most anticipated cars in history the Tesla Model 3. 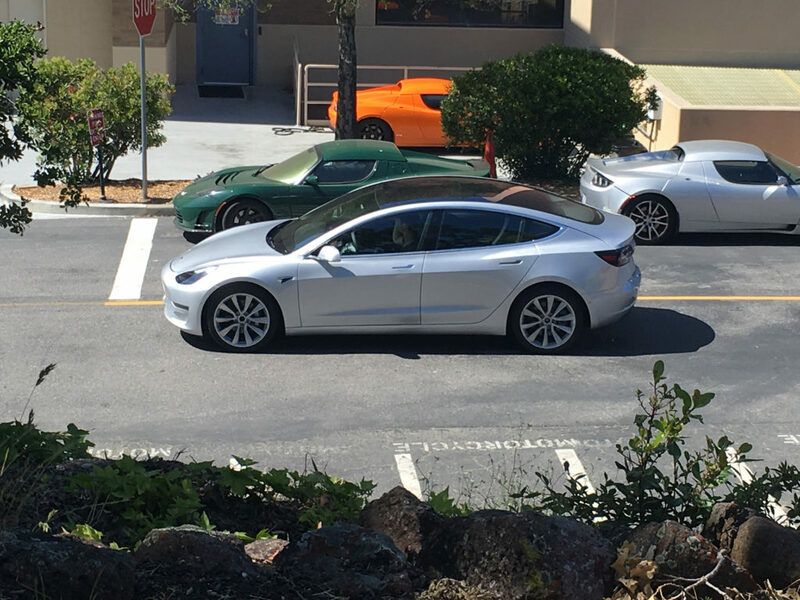 The silver Model 3 see in the photos below has a full glass roof that is tinted like the Model X or S. There has been a discussion that it’s tinted red but the now available HD photos show it might be a reflection of something red in the surrounding nothing else. 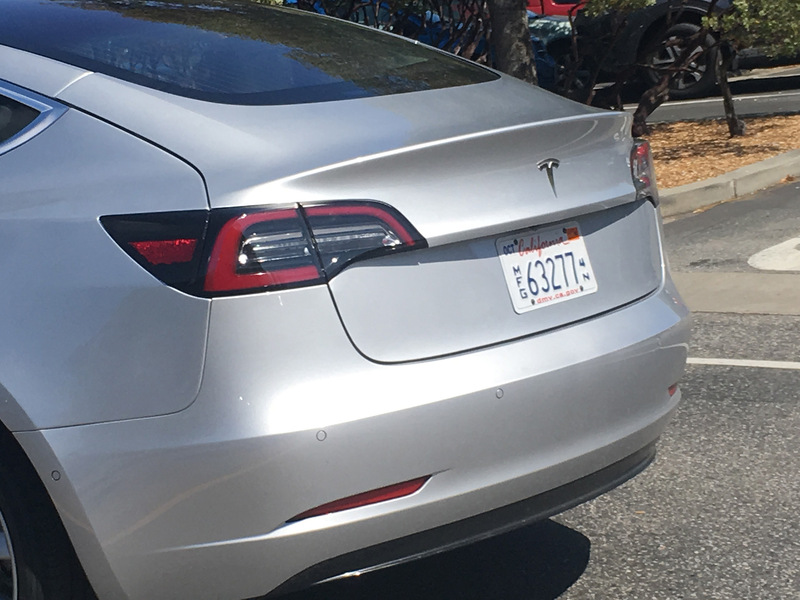 Elon Musk and Tesla have repeatedly endorsed that they’re fully prepared to go from 5,000 units per week production in 2017 to 10,000 units per week in 2018. 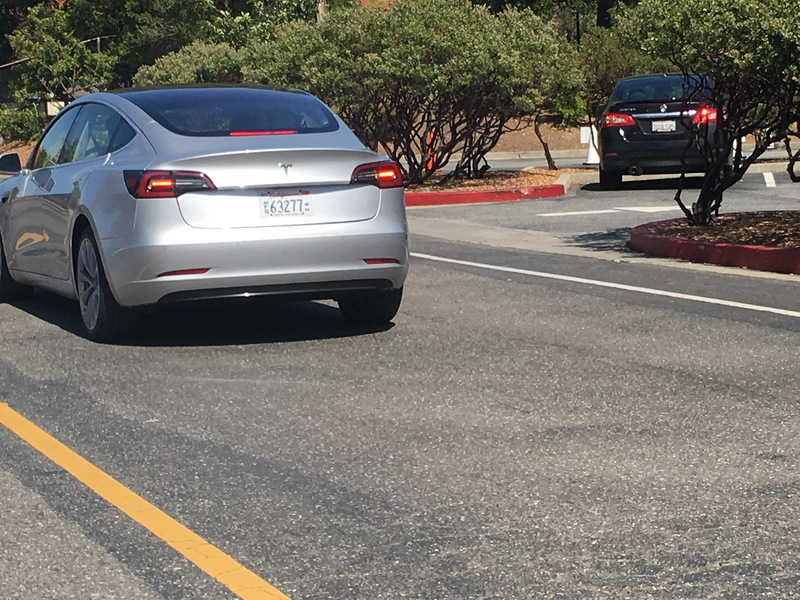 Also according to Elon Musk the number of reservations for Model 3 are increasing every week from the initial number of 400,000 reservations last year. Meanwhile you can also use our comparison table to compare exterior dimensions of the Model 3 with it’s competitors. 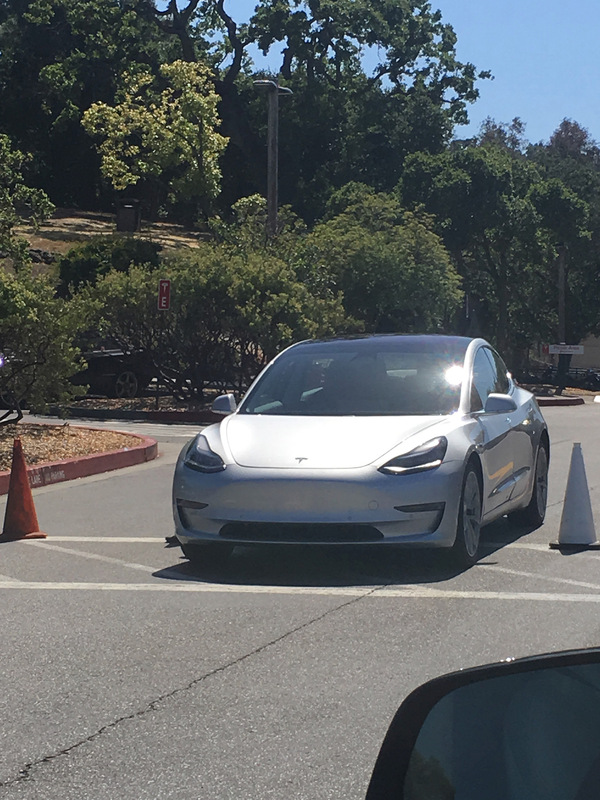 Yesterday ‘Tesla 2016 (wesleybergquist@Twitter)‘ was able to spy a short video (below) of the Silver Model 3 release candidate at the Tesla HQ. It’s a 12 second video but gives a glimpse of the vehicle running from an aerial angle. Click to zoom-in, download & share ! Looks awesome in Silver ! Updated with a short video at the same spot !